I've always liked the bald and beard better. 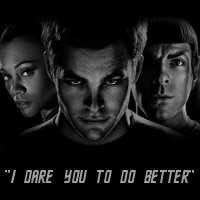 He was set apart from the rest of the captains with that look, not to mention it made him look cooler. I read about how Avery Brooks wanted it that way, bald and beard, but the people who did the show were afraid that he would look to much like another character he had played in the past. I'm glad they let the change happen, because it's like I said, he looks cooler that way. It also made him look more serious and some one you don't want to cross on a bad note. After I got used to the goatee and bladness, I then saw him with hair and no beard. He looked funny then! Location:The place where hockey was Born. Canada! I like him without the hair and and with the beard but when I went back and watched the some of the first 3 seasons I got used to him without the beard. I liked him bald but it doesn't matter to me. I voted for the bald though. The bald and beard is more commanding. Doesn't Matter To Me, it's the man not the hair. Doesn't matter to me either. Bald and with the beard. I also voted for the bald with the beard. He looks very cool! Bald with the beard. Most of you already know how I feel about men with facial hair. Bald and with the beard. 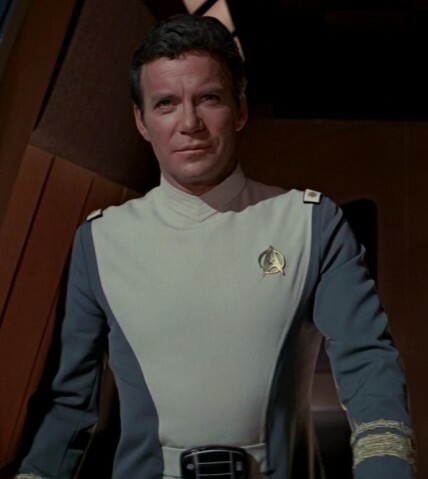 Especially with either the TNG style uniform or the VGR style uniform. I like the First Contact style but not so much on Sisko. It just really bugs me! It really doesn't matter to me (that's what I voted for) though if I HAD to choose, I'd choose the bald head and the beard. Not that I have a thing for bald guys. Interests:I am going to college. The college is Cowley County Community College. I'm going to have fun. Graduated from high school this year. I had to give my principal, who resigned, a plastic box with my bandaid in it to him that was funny. I like Star Trek: Voyager, and Star Trek: Nemesis (Sorry not our Canadian monkey friend.) I live in Kansas. I'm glad this intrest box has so much room you can pretty much type a whole lot of things in it. I have Yahoo messenger so you can find me and talk to me now. But Riker had his beard shaved off in INS!!!!! And I would've loved to have thrown Deanna out an airlock for that. It did not really make a difference to me either way. He is an attractive man either way. I think he is a bit more intimidating when he was bald, but I still liked him! Bald and with the beard. Yeah, baby. Wel, apparently Sea Trooper and I are the only ones who like Sisko with hair. It does not really matter to me, but I voted with hair. The bald and bearded look made him resemble Brook's earlier character Hawk from Spenser For Hire. Captain Hawk! Interests:Scanning for lifeforms...I love scanning for lifeforms.